This week’s Digi Dare Challenge is to scrap your favorite candy. I love chocolate, white chocolate, and peppermint. Put them together and you have yummy Peppermint Bark. Part of the challenge was to include messy elements so I dripped and smeared chocolate. Line the bottom of an 11″ by 17″ cookie sheet with sides with aluminum foil or wax paper. Melt the dark chocolate in a microwave safe bowl (a few chunks at a time at 50% power or less). Pour the melted chocolate into cookie sheet and spread to a quarter of an inch depth. Cool slightly and then place in the refrigerator for 20 minutes. While the first layer chills, crush the peppermint crush the peppermint using the Magic Bullet (I love the Magic Bullet and use it all the time). 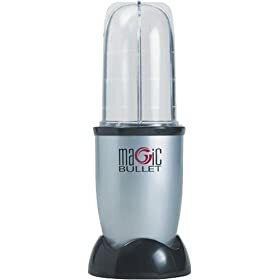 If you don’t have a Magic Bullet (why not?) place the peppermint in a heavy freezer bag and tapping with a hammer to desired size. Melt the white chocolate. Add the melted white chocolate and 1/4 tsp. of peppermint extract and stir until smooth. Pour this evenly over the first layer of chocolate. Sprinkle the top with the pieces of crushed peppermint. Let it sit for ten minutes before placing it in the refrigerator to set. After an hour the bark should be ready to be broken into pieces. Store in an airtight container in a cool place or freeze. Allow it to come to room temperature before serving. how flipping perfect is this!!! love the chocolate coming down!!!!!! Thanks for playing with us at the digi Dares! oh my goodness, this makes me want Christmas to get here! Love the yumminess! oh yummm…thanks for sharing the recipe and love your page its a great way to document something as scrumptious as Peppermint Bark. Thank you for playing along with the Digi Dare this week!Love the brown/red colors here! browsing this web site dailly and take pleasant information from here daily.